Motor vehicle accidents take a tremendous toll on everyone involved, both financially and emotionally. An individual who has been injured should retain an Illinois personal injury attorney to receive full compensation for medical costs, pain and suffering, lost wages and other expenses incurred as a direct result of the accident. 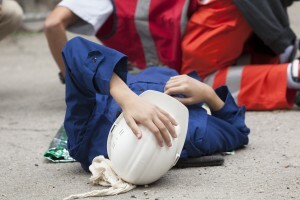 Accident lawyers often require specific documents in order to accurately represent the case. After a motor vehicle crash, an accident report is filed that lists all the relevant evidence. A law enforcement official records the details of the crash, such as the date, time and location of the accident, as well as the names, addresses, birthdates, and driver’s license and insurance information of both parties involved. There is also a written account of the damages and injuries sustained. An attorney will request any other information relating to the scene of the accident helps to establish liability and fault. The contact information of eyewitnesses can be helpful, if it is available. A victim who is able to provide all of these materials up front can reduce the time necessary to file the lawsuit. Medical records involving physical injuries will need to be obtained and passed along to the attorney, as well as expenses incurred by any psychological care that is the result of the accident. The emotional and mental impact are part of the liability of the person who caused the crash. The insurance company may contact an individual involved in an accident in order to request a statement. The victim is allowed to refuse to provide one, but if it is available it should be given to the attorney. In the case of lost wages, the attorney may be able to help a victim receive compensation for the money lost due to injuries sustained in the accident. Pay stubs from before and after the accident help to calculate differences to submit in the lawsuit. The victim or family members who have experienced medical or financial loss due to an accident should gather this important information and contact an attorney right away in order to receive full compensation for accident injuries.